After flashing my TH16 I could not find WiFi until I connected AC power to the TH16. Disconnect everything else before AC power. Also, make sure you flash it using the Nodemcu flasher with DOUT selected. @brozeki the default boot up state is available for the plugs as well. Yeah did that too, nothing came up for wifi and no flashing LED’s. I used the nodemcu and the exact same command with the tasmota firmware, just changed the image file name and that one worked. One odd issue i’m having with just one of the S20’s. Flash it, connect to wifi and all is good, plug it into mains and won’t connect to wifi. Connect power from 3.3v pins and connects to wifi, try again on mains and no wifi! Any thoughts about some possible flash memory that needs fixing/wiping? Has anyone found support for the Si7021 sensor yet? @erocm1231 I cant figure out how to automate if sonoff switch has been off for X minutes turn it on. I see that there is an auto-off feature but no auto-on. Basically I need to delay the boot up of certain devices. Are you looking for a delayed powered ON boot option or are you wanting an auto-on option? The latter would turn the switch ON after x seconds after turning the switch off. @erocm1231 Is there a full compatibility list somewhere? Is the sonoff SV supported? EDIT: I can see the supported modules in the firmware comments. I don’t see a way to set LEDPower and LEDState like you can with the Tasmota firmware. Is it possible with this firmware? @tomsyco I think the SV is supported with the basic firmware. @BartschLabs LEDState and Power aren’t supported unless you edit the ino and recompile. Hi there, were you able to get your Sonoff functioning as a doorbell indicator? I’d really like to do this, but not sure of the GPIO configuration. Thanks! Anyone already tried to flash a Sonoff Basic with 2.6.1 firmware? And a Sonoff (from china) T1 with the new blue PCB in 2.7.1 firmware? I tried everything but I can’t write the firmware. 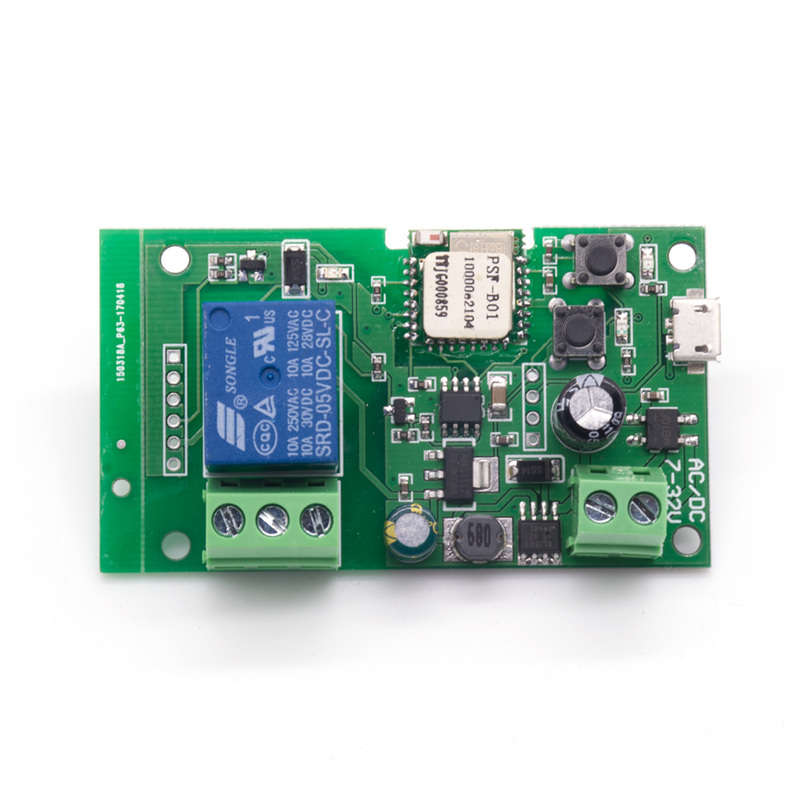 Hi Eric, I’ve been scouring the community to see if this Sonoff DIY switch can successfully be flashed and controlled like the Basic. Do you have experience with this one and can the same flasher/.bin be used? Did you ever get the inching/self-locking sonoff flashed and working? Hello, is it possible to rollback to the original firmware? I need to use some of them without st hub. Only if you backed it up beforehand or some one else has and can send you the image.